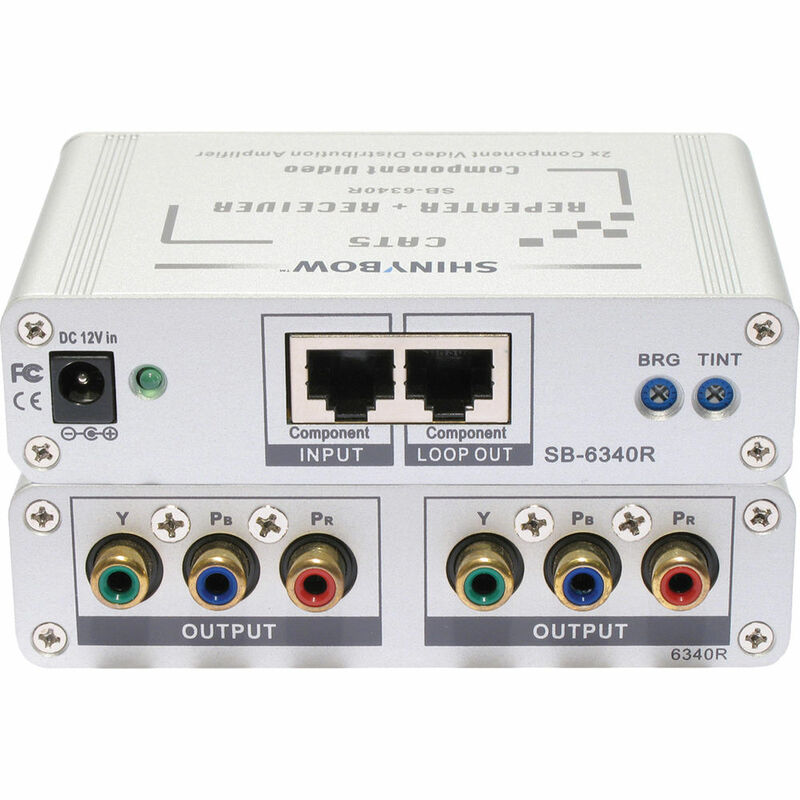 The Shinybow SB-6340R CAT5 Component Video RGB/HDTV Repeater with Receiver extends video signals up to 1000’ (300 m) using inexpensive CAT5/CAT6 UTP cable. The transmitter (sold separately) connects to your local video source and allows you to extend to a single or multiple remote receivers. The CAT5 component video splitter extender via CAT5 is the ideal solution for applications that require display of the same image on multiple remote locations. The common applications of this device include restaurants, bars, clubs, and other HDTV environments for video broadcasting such as remote monitoring, presentations, and advertising.